Well, somebody either had a happy accident in the kitchen or couldn’t decide whether to make brownies or brittle–either way, the two are now combined. 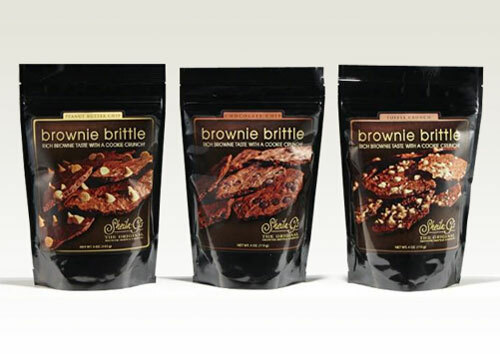 Brownie Brittle was conceived with brownie edge lovers in mind; every bite is crispy. Now available in the three flavors nationwide, the dangerous delicious snack can be found in Chocolate Chip, Peanut Butter Chip and Toffee Crunch varieties. 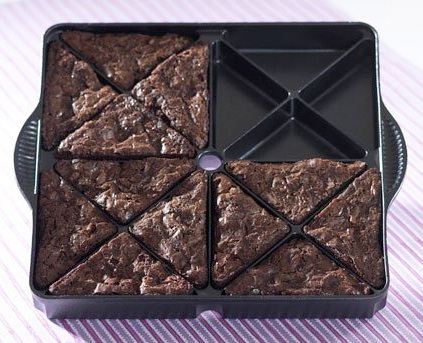 Brownies are certainly delicious, but wouldn’t they taste better if they were cut into little wavy shapes? Sure they would! 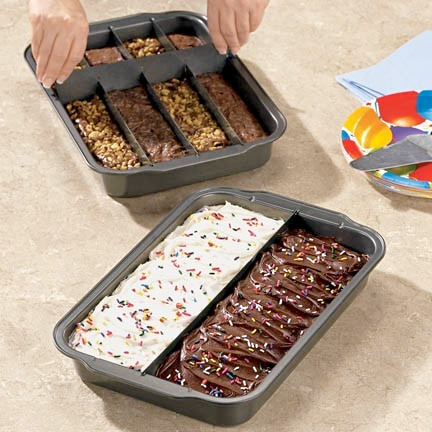 Pass up the squares and move on to zigzag brownies with the Wilton Zigzag Brownie Cutter. 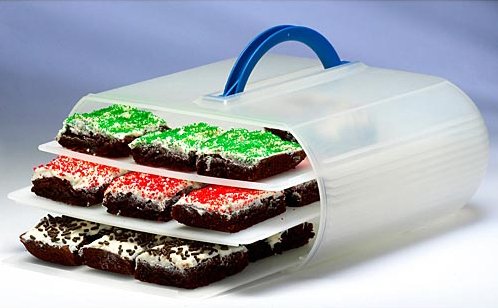 The soft-grip handle makes it easy to cut brownies into fun zigzag shapes, but why stop there? 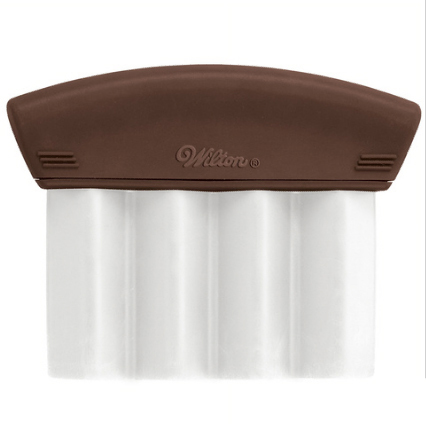 The cutting tool can also be used to cut Rice Krispies treats, sandwiches, or even lasagna. For $7.95 at Sur La Table, it’s probably worth it if you’ve been trying to cut those decorative edges with a knife. 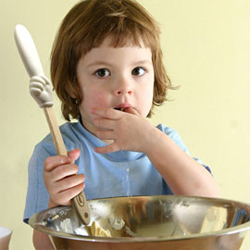 Especially since zigzag brownies just taste better.